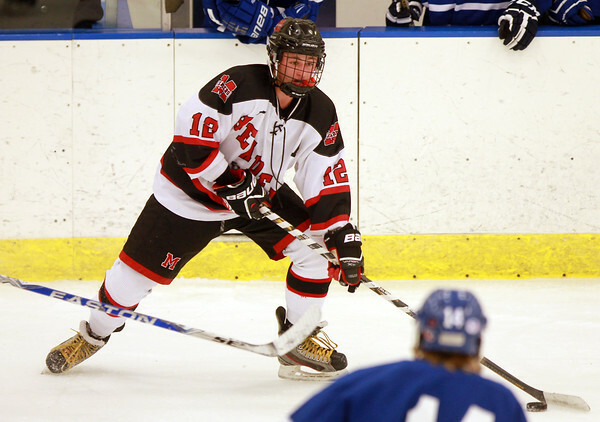 Marblehead junior forward Tim Kalinowski (12) pulls up with the puck near the blue line and looks to make a centering pass at the Rockett Arena at Salem State University on Saturday afternoon. DAVID LE/Staff photo. 1/17/15.